The expression ‘Disgusted of Tunbridge Wells’ may have entered the English vocabulary in the 1950s onwards as a byword for middle class conservative moral outrage, but this elegant spa town in the south east of England has a habit of regularly cropping up in literature well before that. 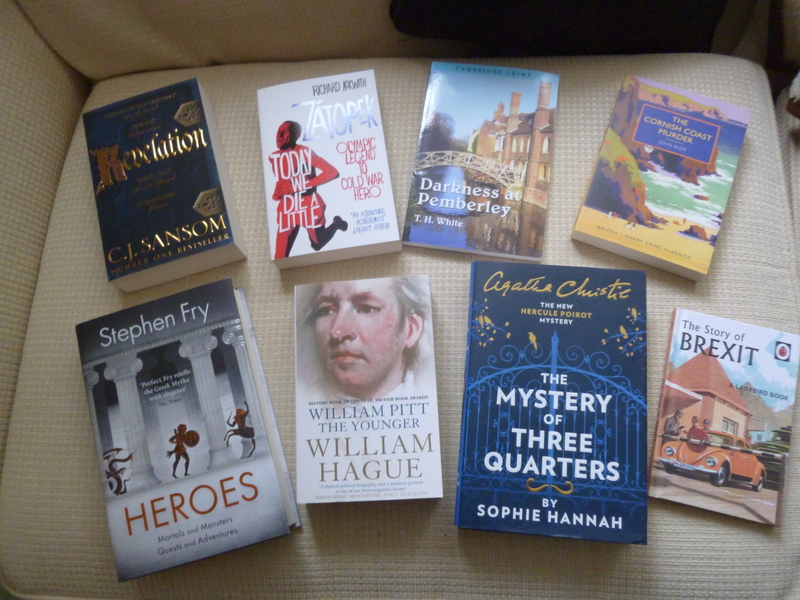 We find references in Dickens’ Bleak House, Oscar Wilde’s The Importance of Being Earnest, Fanny Burney’s Camilla, and Jane Austen’s unfinished novel Sanditon for a start. It’s often depicted as the residence of genteel aunts and maiden ladies – a favourite being Charlotte Bartlett in E M Forster’s 1908 novel A Room with a View: ‘I am used to Tunbridge Wells, where we are all hopelessly behind the times’. But not all of the good ladies of Tunbridge Wells were like Charlotte Bartlett then, any more than they are now. Just published by Matador is Disgusted Ladies by local author Anne Carwardine. It tells the fascinating story of how the town was home to a series of ordinary yet extraordinary VOTES FOR WOMEN campaigners – remarkable and courageous women who were disgusted for all the right reasons. 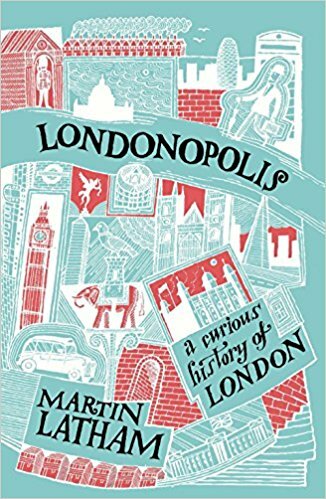 I’m reading Londonopolis – A Curious History of London at the moment (thanks to my family for a great Christmas present). 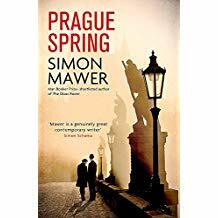 The author, Martin Latham, says, “You can read this book in any order, or leave it in the lavatory for the occasional reverie.” I can add another good use for it: silent entertainment for a case of Man Flu. It’s written in easy chunks (chronologically ordered), and so can be picked up and put down as fitfully as the suffering patient desires, with no loss of continuity. It’s amusing and full of interesting oddities. It encouragingly takes on received historical wisdom: eg William Rufus was actually quite a good King (his Westminster Hall is a masterpiece), and the East India Company was in some respects better than the Raj that replaced it in India, and it had enlightened HR policies here at home (thieving employees would merely be publicly whipped through the street rather than be hanged or transported to the colonies). The illustrations are fun. While reading this the invalid won’t be plaintively and feebly calling to his devoted nurse for more lemon tea or more pillows or fewer pillows. 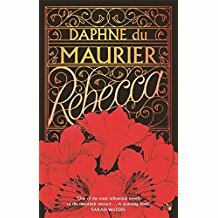 I was reading Daphne du Maurier’s excellent Rebecca (a 2016 Christmas present! ), but felt that if I was already feeling sorry for myself that book’s atmosphere of tension and worry was hardly going to help. So Rebecca is on hold. Better something quirky that brings a smile. There’s a fuller review of Londonopolis on the Turbulent London website, at https://turbulentlondon.com/2016/02/11/book-review-londonopolis-a-curious-history-of-london/. 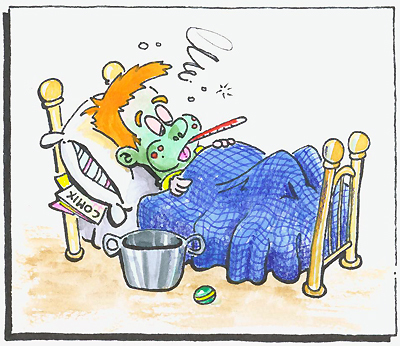 Nasty germs apart, a Happy New Year to all ninevoices’ readers! My husband’s recent re-ordering of our modest library led me to rediscover this powerful book by Brian Moynahan about religious intolerance and the brave man who translated the word of God into English. Moynahan’s heart-stopping biography of the young Gloucestershire tutor forced to flee England in 1524 in order to safely translate the Bible into English is as much thriller as history. It brims with exhumations, double-agents, whispered confidences, poisoned soup and brutal burnings. There are unfamiliar glimpses of Anne Boleyn alongside the familiar autocratic ones of Henry VIII. Sir Thomas More, sadly, does not come out of it well. Indeed, it is less familiar figures like Thomas Bilney, who show unimaginable heroism. It is not an easy read. There is faith. Hope. But scant charity. 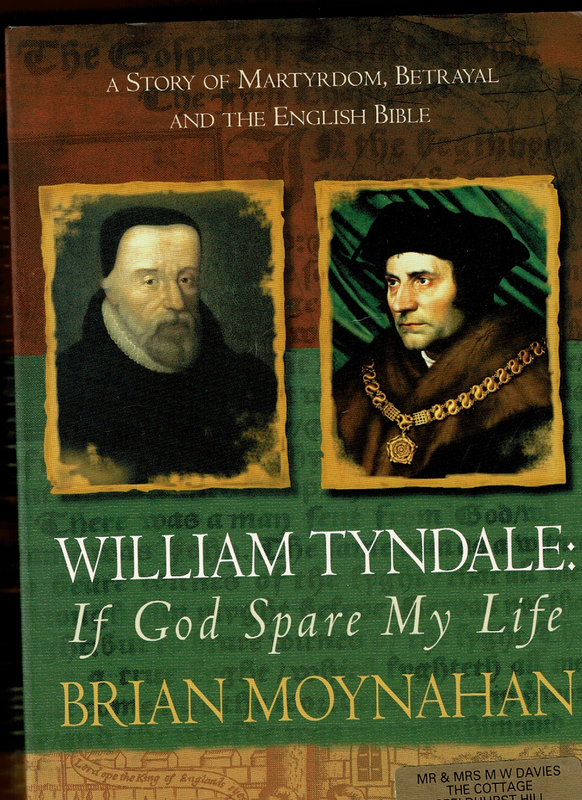 The agents of Tudor England caught up with Tyndale in the end. On the 6th October 1536, in Vilvoorde, just outside Brussels, he was bound to a stake with iron chains, with a noose around his neck. In the brief period he was allowed to pray, Foxe tells us he cried out in a loud voice: ‘Lord, open the King of England’s eyes.’ He was then strangled and burned, although it is said he was still living as the flames engulfed him. His executioner was instructed to add fuel to the flames until the body was utterly consumed, after which even the ashes were disposed of (probably in the nearby River Zenne) to obliterate any traces that might remain. His words, however, will surely survive as long as we have the English language. His prose has enriched the work of writers from William Shakespeare to Alan Bennett and has lessons even for stumbling novices like myself. This terrific book is still available, though now only on eBay or through specialist bookshops. It is not the easiest of reads, but it is rich with lessons, not only for those seeking to know how even the ‘boy that driveth the plough‘ came to have first-hand access to the Bible, but for those striving to write prose with a powerful punch. We must follow Tyndale’s example: short words; short sentences, and, above all, those potent verbs. This Friday will mark 481 years since Tyndale’s death. What better time to remember a brave and gifted man, and everything we English-speakers owe him. If it’s great to see your work in print, and even to see other people reading it, think what it’s like to have people reciting or even singing what you’ve written 160 years later! J M Neale would know …. This story is not what comes first to the mind of the Czechs, whose patron saint he is. To them he is St Wenceslas, or Svatý Václav in their language. 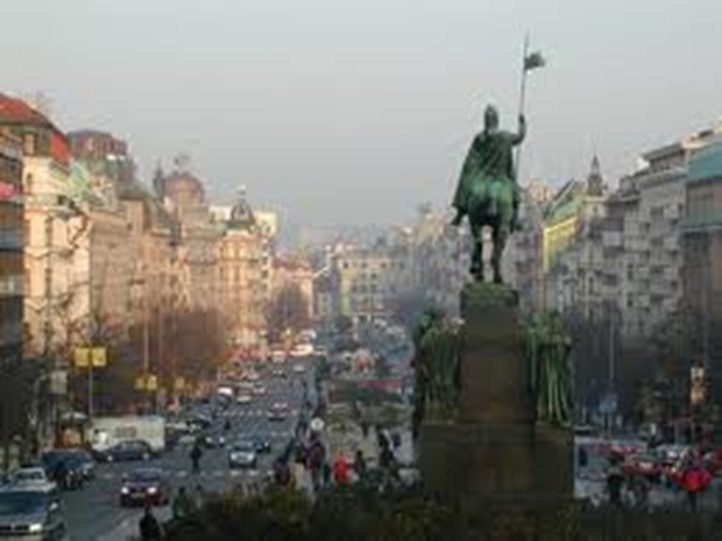 His statue stands proudly in Wenceslas Square in the centre of Prague. A strong, handsome military leader, riding a great charger and dominating this huge square. The reality was a little different. First, Wenceslas was not a king, but a Duke. More importantly, he was murdered at the age of 28 so was not the middle-aged uncle-like figure we might imagine. 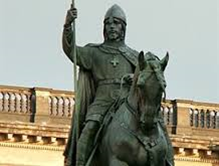 Wenceslas was born in 907, or to put it in our terms 8 years after the death of Alfred the Great. He was the son of the Duke of Bohemia. 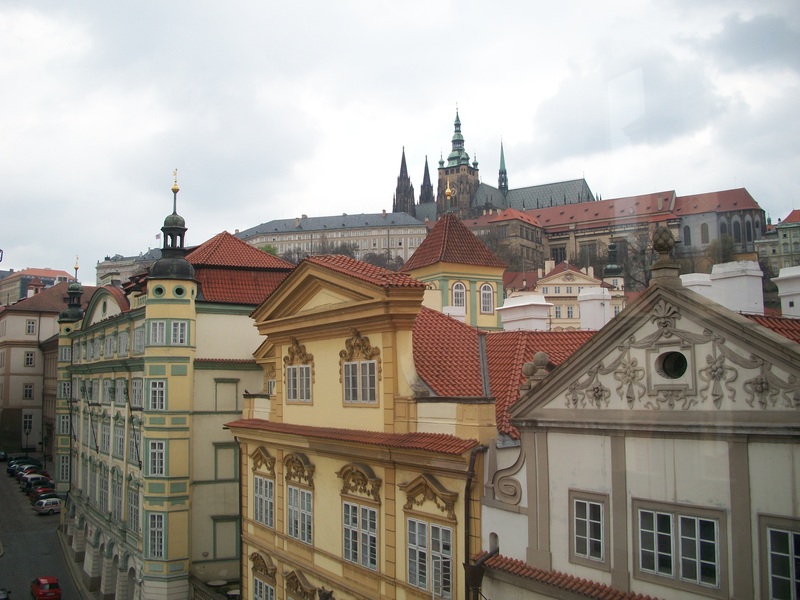 Christianity had come to what is now the Czech Republic a generation or so before. His father was raised in a Christian setting, but his mother Drahomíra was the daughter of a pagan tribal chief and though she may have been baptized at the time of her marriage she was still pagan at heart. In 921, when Wenceslas was thirteen, his father died and he was brought up by his grandmother, Ludmila, who raised him as a Christian. Wenceslas is usually described as very pious and humble, very educated and intelligent. There was a struggle for control of young Wenceslas between his Christian grandmother Ludmila and his pagan mother Drahomíra. Drahomíra was furious about losing influence on her son and arranged to have her mother-in-law Ludmila strangled. According to some legends, having regained control of her son, Drahomíra set out to convert him to the old pagan religion. She failed. In 925 Wenceslas assumed government for himself and had Drahomíra exiled. He founded the first church on the site of the present-day St Vitus’ Cathedral that so beautifully dominates the skyline of Prague. In England at this time, invasion by the Danes was the main problem. The rulers of Bohemia had to deal both with continuous raids by the Magyars or Hungarians and the forces of the Saxon king Henry the Fowler. To withstand the Saxons, Wenceslas’s father had forged an alliance with the Bavarian duke Arnulf the Bad. (They had glorious names in those days.) 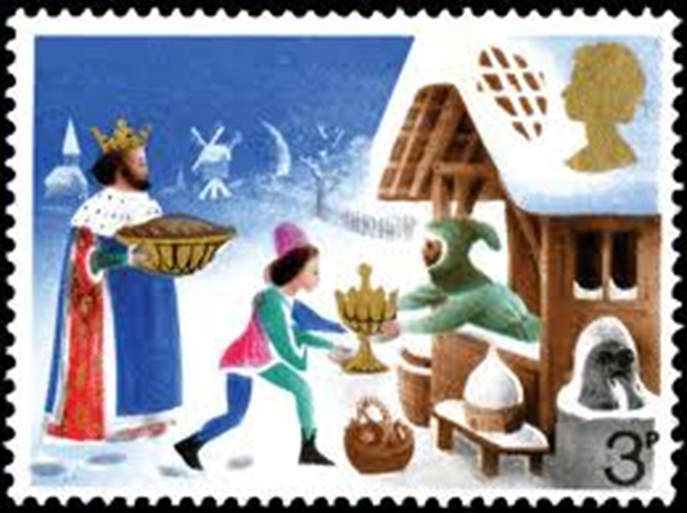 Unfortunately, in 929 the Bavarians and the Saxons joined forces, invaded Bohemia and forced Wenceslas to pay tribute. Tradition states that he saw this as preferable to the great bloodshed that would have followed resistance. A 12th century source states that “rising every night from his noble bed, with bare feet and only one chamberlain, he went around to God’s churches and gave alms generously to widows, orphans, those in prison and afflicted by every difficulty, so much so that he was considered, not a prince, but the father of all the wretched.” This presumably is the origin of J M Neale’s carol. We have seen from the antics of Drahomíra and Ludmilla that family life in the ducal household was, er, dysfunctional, as the saying now is. In 935 his younger brother Boleslav plotted to kill Wenceslas. After Boleslav invited Wenceslas to celebrate a religious feast, three of Boleslav’s companions murdered Wenceslas on his way to church. The tradition is that he knocked on the church door for sanctuary but a frightened priest inside denied him entry. I’ve been to the church myself to pay my respects. Boleslav succeeded him as the Duke of Bohemia. If you look him up on Wikipedia you’ll see he was known as Boleslav the Cruel. Boleslav expressed much remorse at his brother’s death – as did our Henry II after the murder of Thomas Becket – but that didn’t stop him staying on the throne for the next 37 years. Wenceslas was considered a martyr and a saint immediately after his death, when a cult of Wenceslas grew up in Bohemia (and in England). His chapel in St Vitus’ cathedral in Prague is magnificent. Since 2000, his feast day (September 28) is a public holiday in the Czech Republic. Another reason for the Czechs to like him. Thanks and well done, JM! Looking for a good Christmas present for someone interested in social history? How about Henry Smith – His Life & Legacy by Lucy Lethbridge and Tim Wales? Henry Smith was a London salter who died in 1628. He made his fortune by lending money to the rich and famous, and at his death left a number of charitable bequests. The Charity that bears his name today distributes some £25 million a year, largely funding initiatives and projects that address social inequality and economic disadvantage. What became his principal legacy was one of £2,000, which he instructed his executors to spend on land. They bought a market garden, which today (through the Charity’s astute development) is a large chunk of South Kensington. The income from that £2,000 (£60 a year at first) was to be used for the relief of his poor kindred and ‘for the use of the poor Captives being slaves under the Turkish pirates’. The latter was a real problem in the early 17th century: British ships were being captured and the crews enslaved by pirates or corsairs operating from North Africa, and people were even being snatched off the beaches of Devon and Cornwall. Between 1600 and 1640 an estimated 800 British ships and 12,000 Britons were captured in this way. Henry’s bequest was for ransoms. In the 18th century, fortunately, no more such grants were needed, and Henry’s Trustees won Parliament’s approval for the use of that part of the bequest for other good causes. Another bequest provided for the relief of poor clergy of the Church of England (originally ‘for the relief and maintenance of godly preachers’), and grants from that are still available. Another provided for annual grants to go to hundreds of named parishes, and that scheme continues today. The original recipients were to be the aged and infirm poor, ‘married persons having more children born in lawful wedlock than their labours can maintain’, orphans, and ‘such poor people as keep themselves and families to labour and put forth their children apprentices at the age of fifteen.’ Excluded were any given to ‘excessive drinking, whoremongers, common swearers, pilferers, or otherwise notoriously scandalous’, as well as disobedient servants and vagrants who had not lived in the parish for five years. A splendid benefaction board setting out all these conditions can be seen in Pershore Abbey in Worcestershire. In 2015 the Charity published their history, which describes in detail Henry Smith’s life and his will, and gives much interesting information about his first trustees, some of whom found themselves on opposite sides in the Civil War. 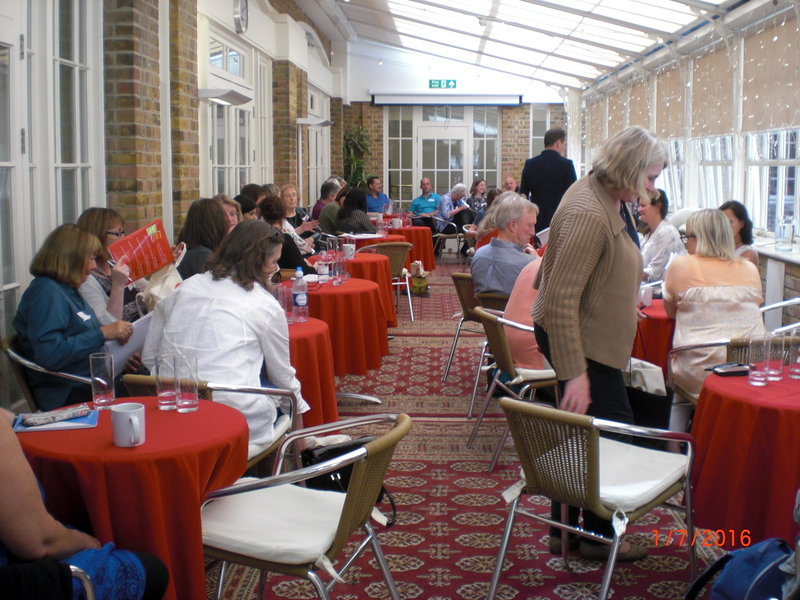 The book then takes the history up to the present day, including how the Charity developed Kensington. 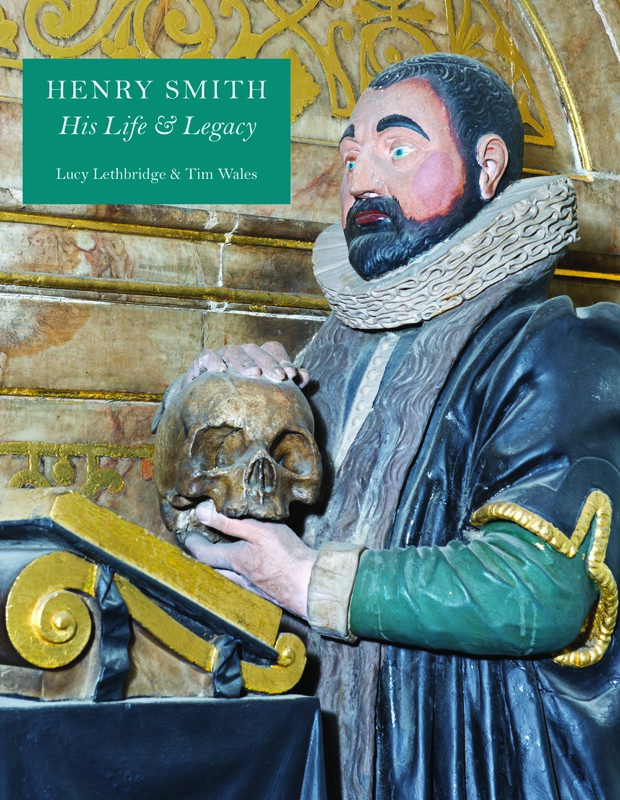 ‘Henry Smith His Life and Legacy’ by Lucy Lethbridge (author of Servants, ‘a downstairs view of 20th-centiry Britain) & Tim Wales is available from the Church House Bookshop (online at https://chbookshop.hymnsam.co.uk/books/9780993094507/henry-smith) or ordered from booksellers and other online retailers. RRP £20. ISBN: 978-0-9930945-0-7 A declaration of interest: one of the ninevoices did some of the research for the book. Many of us, I think, listen to music while we’re writing and I found something I heard this morning particularly poignant: an exquisite piece by George Butterworth, who was tragically killed at the age of 31 on August 5th, 1916, at the Battle of the Somme. What else might he have written, had he lived? We all think Mrs Bennett the most embarrassing relative possible, but Jane Austen had an aunt who was even worse. In August 1799 Mrs Jane Leigh-Perrot was arrested for stealing lace worth twenty shillings from Elizabeth Gregory’s shop in Bath. She was refused bail, but instead of being held in the County Goal at Ilchester was allowed to live with her husband in the adjacent prison-keeper’s house. The “two elegant young women” were Jane and Cassandra Austen. Mrs Leigh-Perrot was their aunt. At that time, high value theft was a capital offense, though juries usually refused to convict because of this. The gentry also had their own ways of avoiding the transportation which would probably have been the lot of a maidservant accused of stealing a piece of lace. Mrs Leigh-Perrot was acquitted, with rumours of of the shopkeeper having been bribed to bring this about. She was subsequently accused of stealing a plant, in 1804, though no prosecution followed. An 18th century case of kleptomania, perhaps?